We welcome individuals, families, and friends to come enjoy the houses. Each house admission includes a guided tour of the home, where you will hear the stories from trained guides. 2019 Tours begin April 4th. Thursday–Sunday: Tours 11:00 a.m., 1:00 & 2:30 p.m.
First Sunday of each month: Tours 10:00 a.m.–4:00 p.m.
Self guided access is not available. Admission to Cedar Grove is "Pay What You Wish" the first Sunday of every month, April through November. Access for two consecutive days to the main Philadelphia Museum of Art building, Perelman Building, Rodin Museum, and Historic Houses Mount Pleasant and Cedar Grove. Learn more about the history of Cedar Grove here. For information regarding Cedar Grove on the Philadelphia Museum of Art's website click here. April 25 - December 20: Thursday – Sunday: 10:00 am – 4:00 pm , No reservation required. Closed on legal national holidays. Learn more about the history of Laurel Hill Mansion on the Park Charms' website here. Check out the Laurel Hill Mansion website here. April 25 - December, Thursday – Sunday, 10:00 am – 4:00 pm, No reservation required. January - March, by appointment only. Closed on all legal national holidays and Mother’s Day. 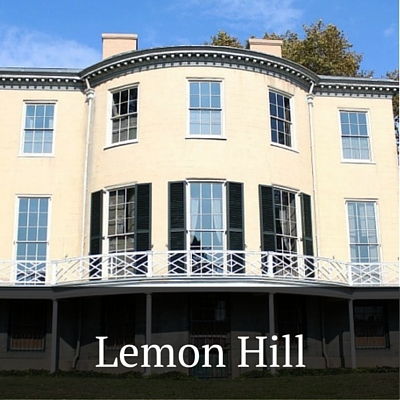 Learn more about the history of Lemon Hill Mansion here. Check out the Lemon Hill Mansion website here. MOUNT PLEASANT IS CLOSED FOR GENERAL MAINTENANCE. PLEASE CHECK BACK FOR UPDATES. Admission to Mount Pleasant is "Pay What You Wish" the first Sunday of every month, April through November. Visit philamuseum.org/historichouses for more information. Learn more about the history of Mount Pleasant here. Thursdays - Saturdays, 11 a.m. - 2 p.m. and Sundays by appointment only. Guided tours on the hour. Last tour leaves 3:00pm. Learn more about the history of Strawberry Mansion here. Check out the Historic Strawberry Mansion website here. Follow Historic Strawberry Mansion on Facebook here. Year-round: Wednesday–Sunday, 10:00 a.m.–4:00 p.m., No reservation required. Learn more about the history of Woodford here.